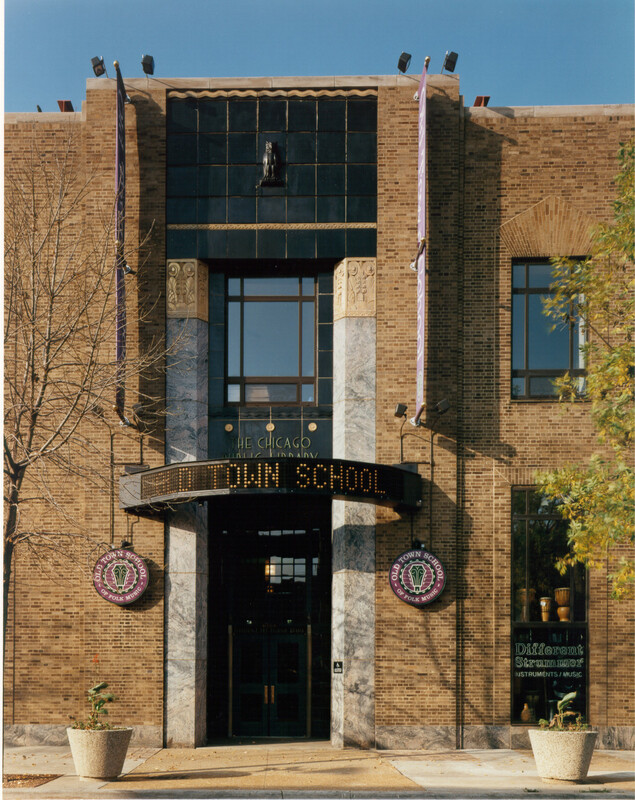 With the help of Joni Mitchell and Peter Yarrow, the Old Town School of Folk Music opened their new home in September of 1998. 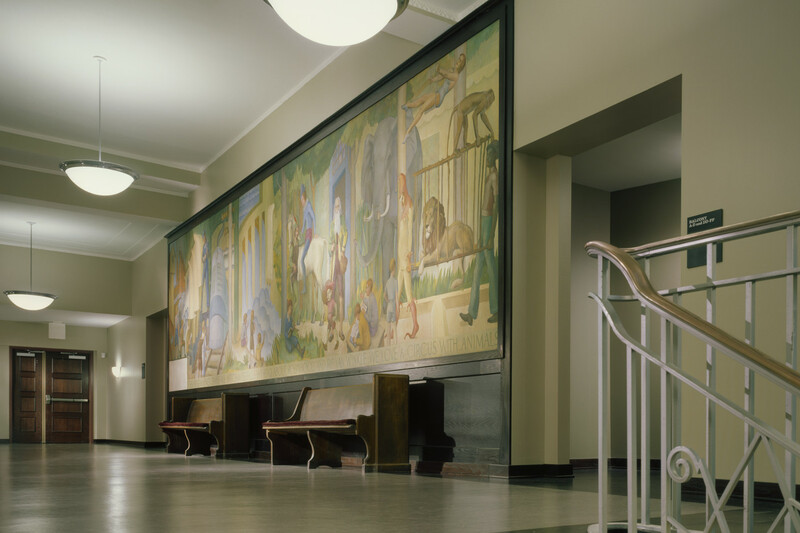 The new facility is the result of an adaptive reuse project that converted a 1929 Chicago library designed by Pierre Blouke. 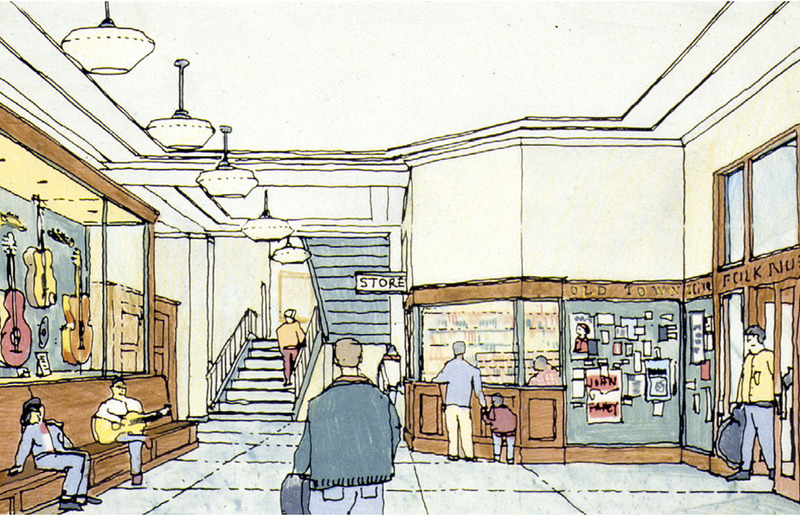 The building was abandoned in 1986 when the library relocated to a new facility nearby. 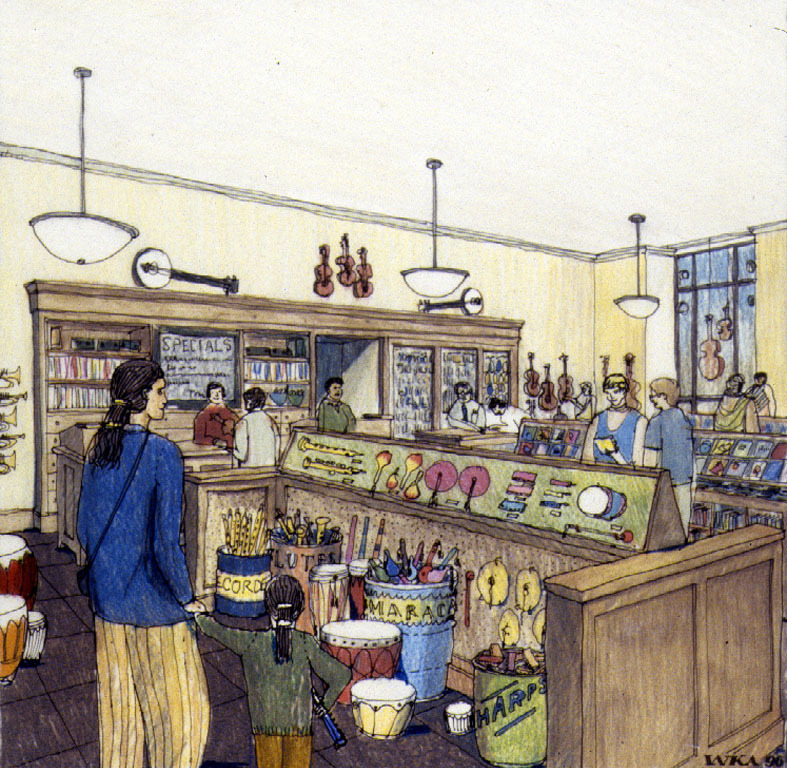 Comprising approximately 43,000sf of space, the new music school includes a 425-seat performance hall (completed with Morris Architects / Planners), a retail shop (“Different Strummer”), a box office, cafe, a gallery, and numerous classrooms. 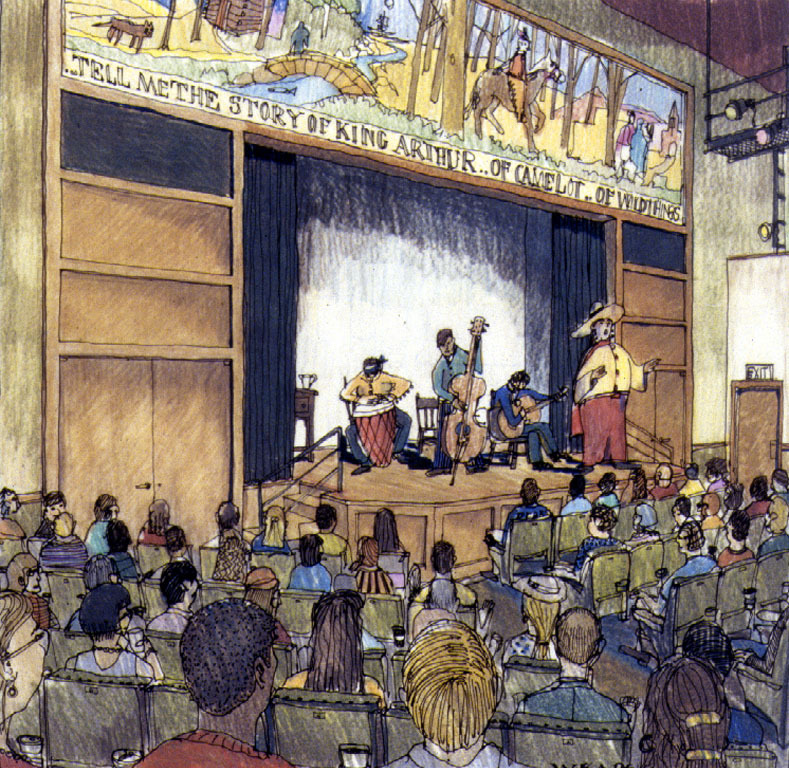 The completed project represents the largest facility dedicated to the performance and preservation of Folk Music in the United States. 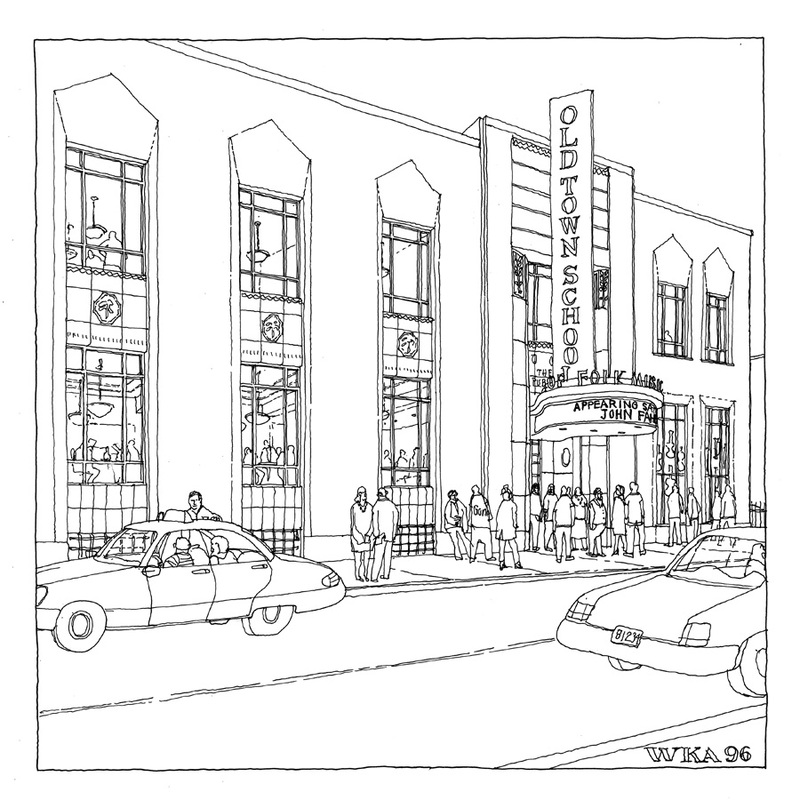 The centerpiece of the facility is the iconoclastic performance hall. 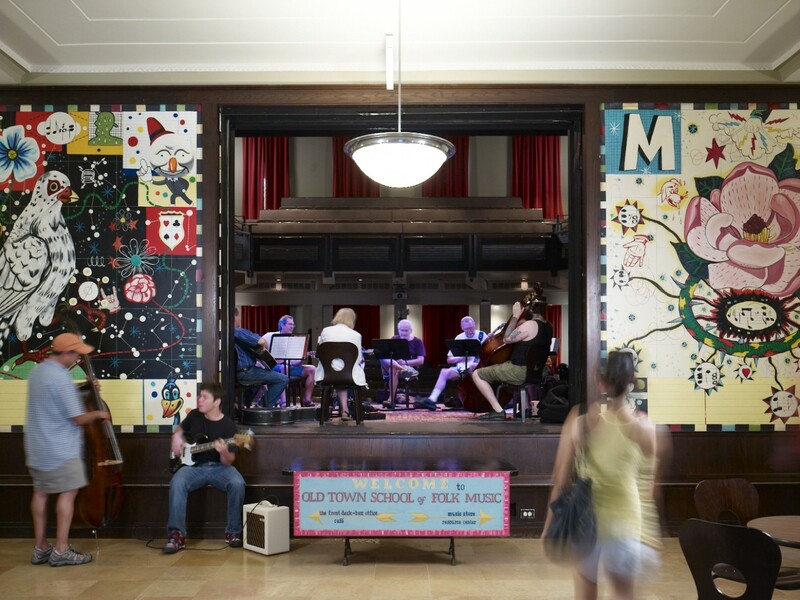 Instead of constructing a traditional auditorium that would be seldom used except for performances, the school opted for a space that would remain a social center throughout a typical day. 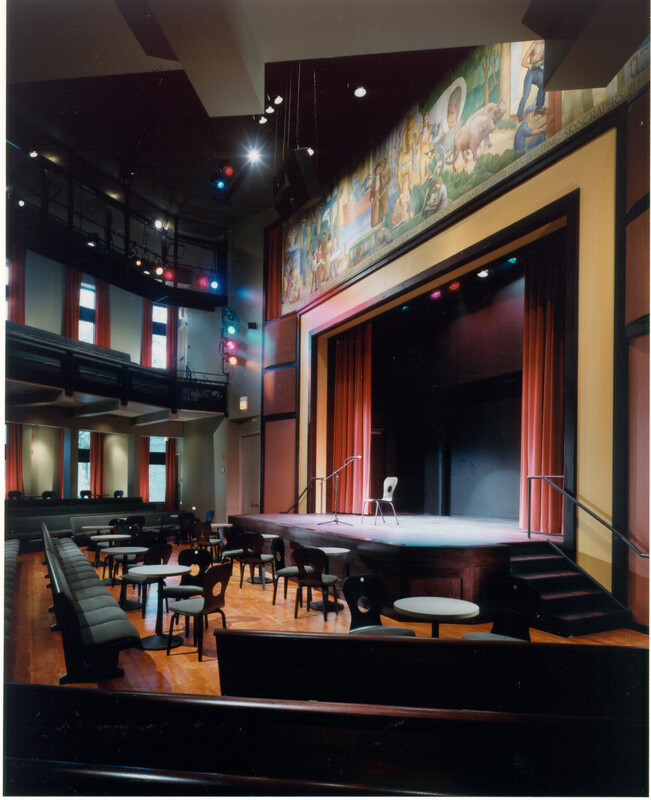 The hall, developed as a variation on a cabaret, is outfitted with a “see-through” stage, numerous windows, loose seating and tables, and is served by a walk-up café. 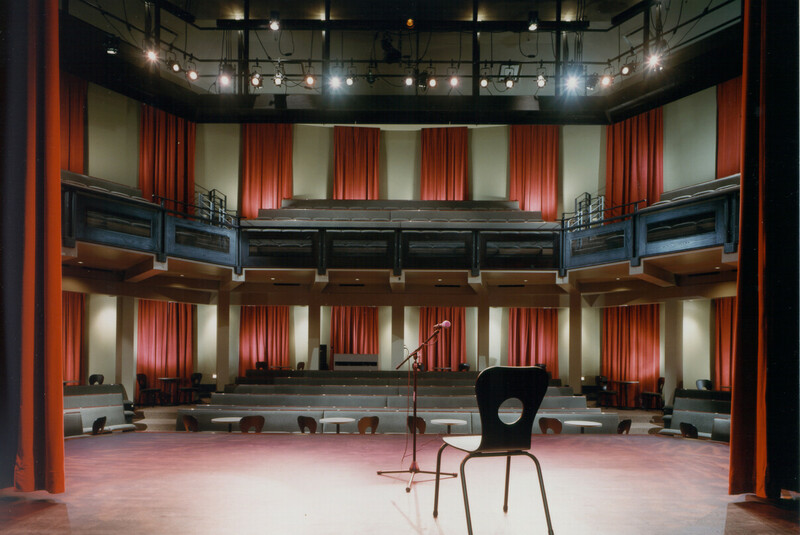 Located in a half-drum shaped space formerly occupied by four floors of book stacks, the hall contains two levels of raked seating that wrap around a center thrust stage. 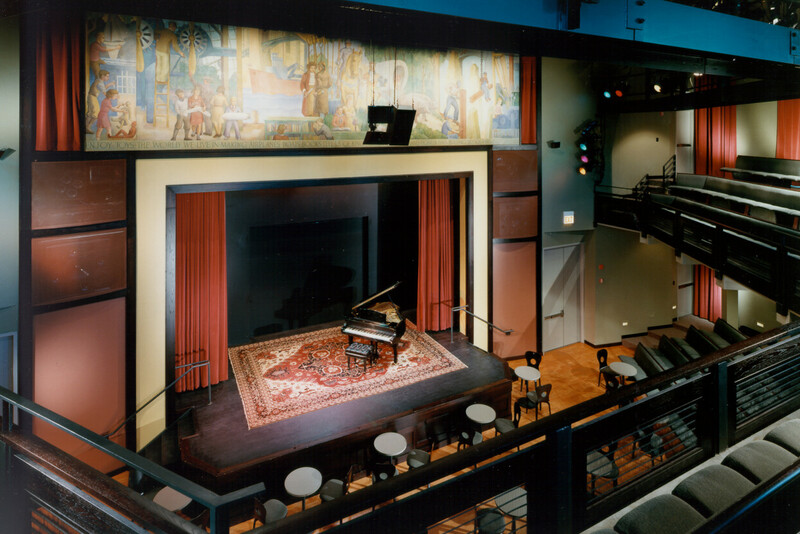 Instead of occupying a peripheral location like most venues, the stage was instead located prominently in the center of the building. 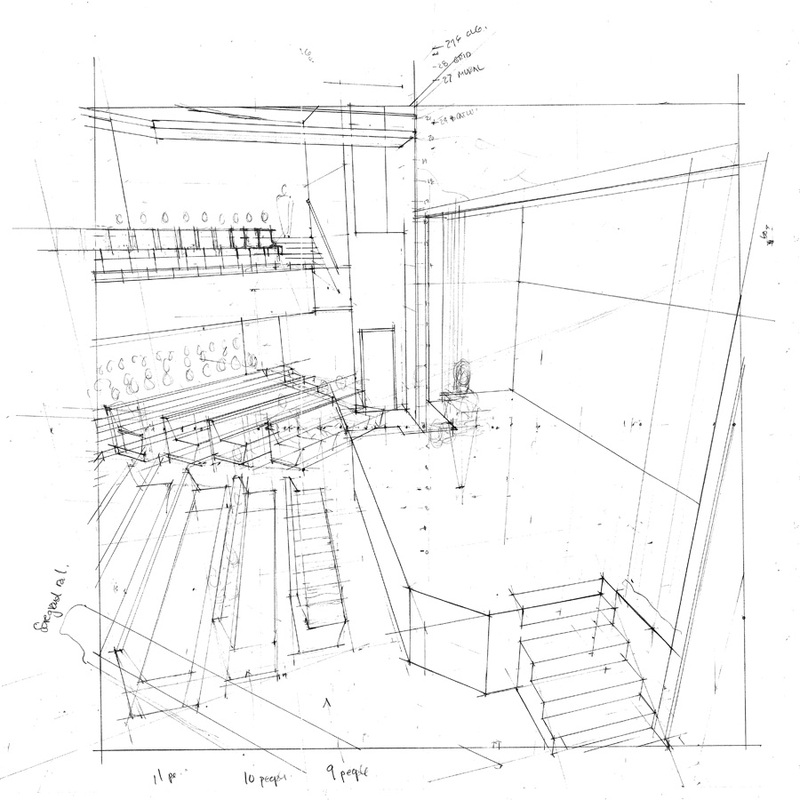 In fact, with a backstage wall formed by two large sliding doors, the stage and the hall become the focal points of the main entry lobby. 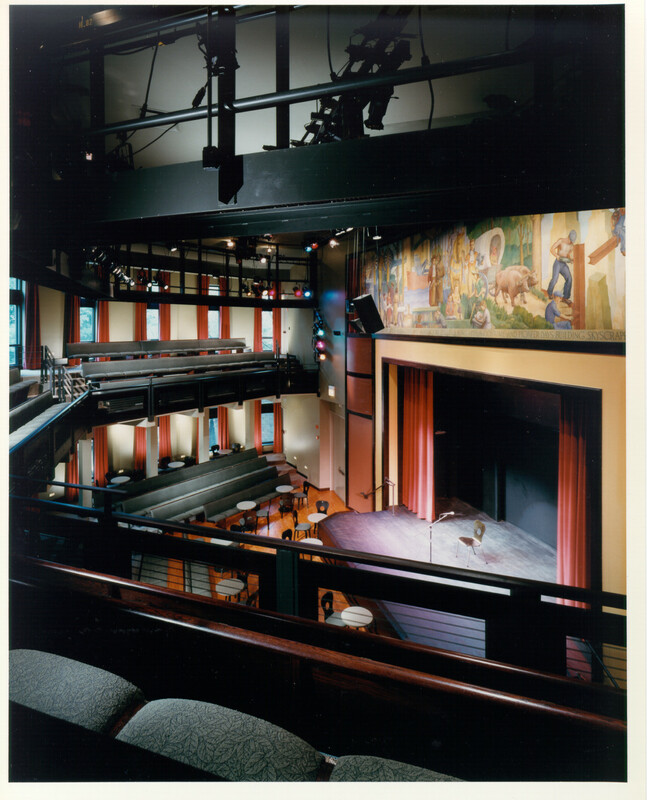 Because the sliding doors are kept open except for performances, visitors entering the facility see directly into the hall, vicariously enjoying a point of view similar to that of an on-stage performer. 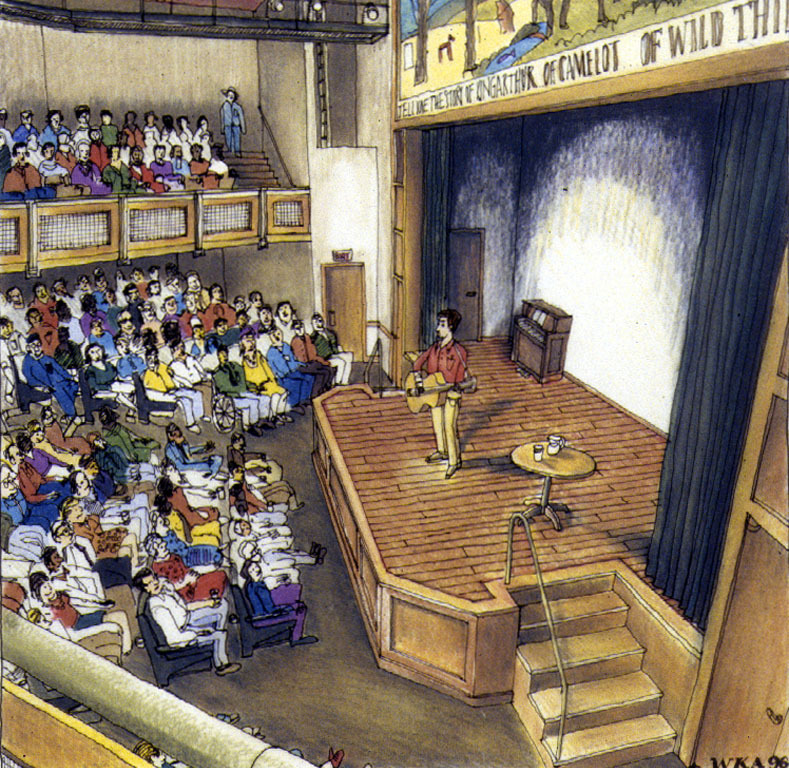 Twenty-six teaching spaces are located throughout the facility. 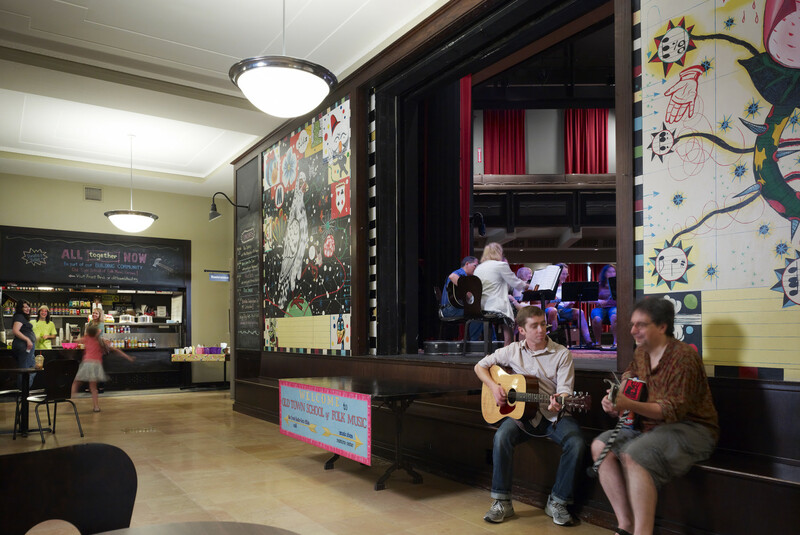 The smallest spaces, located under the perimeter of the performance hall, are a group of 10 private teaching studios. 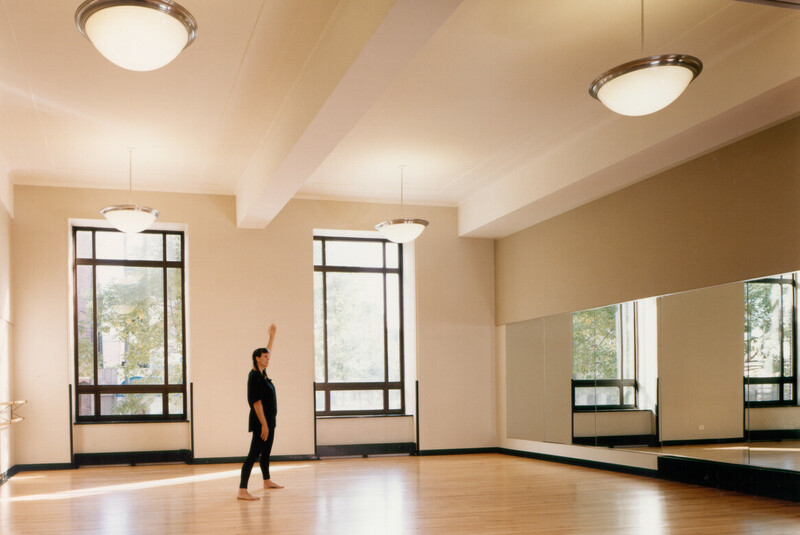 Each studio is daylit by a restored areaway window and is isolated from neighboring studios with redundant walls and ceilings. 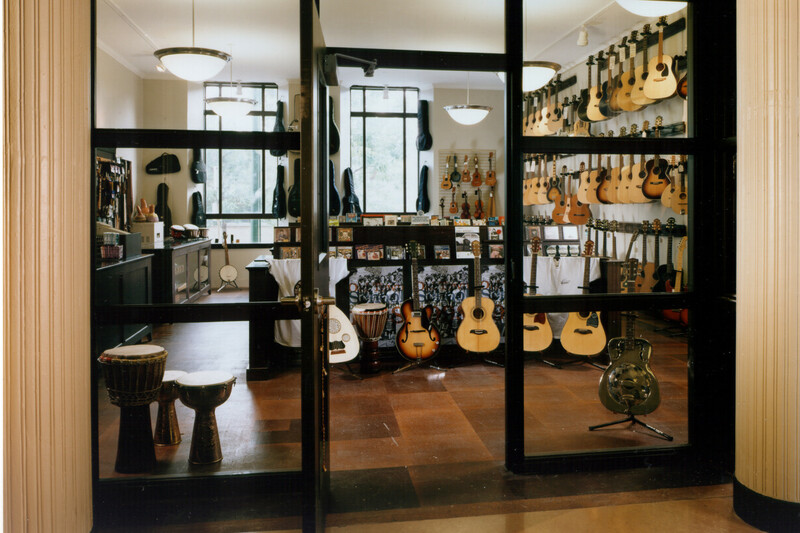 Three heavily fortified classrooms are located on the lower level and are designed for amplified and percussive instruments. 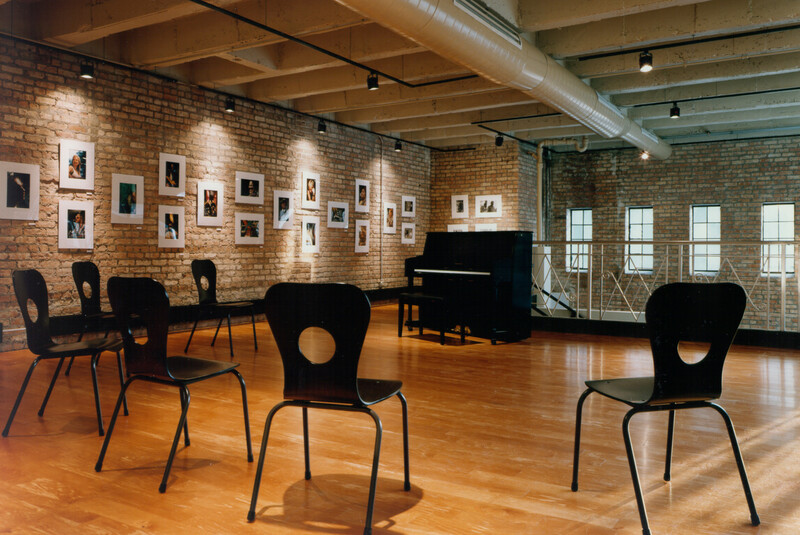 The rooms are each walled with combination masonry and gypsum board partitions and are provided with acoustically absorptive bass traps.